(Bloomberg) -- Abdelaziz Bouteflika, who led Algeria out of civil war to become its longest-serving president, has resigned after throngs of protesters and even his military allies told the ailing president he’d overstayed his welcome. Last elected in 2014, Bouteflika has been largely incapacitated, communicating through statements and governing with the help of his brother Said and a coterie of army officers, businessmen and officials of the ruling FLN party, known collectively as “le pouvoir.” His bid for another term in elections initially slated for April prompted anger and disbelief among Algerians, nearly half of whom are under 25 and no longer want to be ruled by aging veterans of the country’s war of independence from France. During his time in office, Bouteflika worked to co-opt and weaken the country’s opposition parties, leaving no obvious rival to lead Europe’s third-largest gas supplier. Divisions within the ruling elite mean even the establishment was unable to offer up a clear successor. With his departure, a longstanding North African bulwark against terrorism and illegal migration to Europe enters uncharted territory. 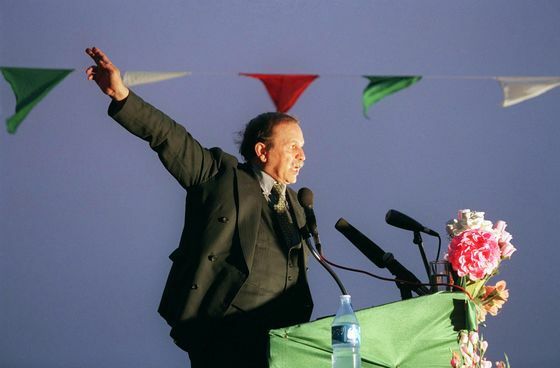 When he first came to power in 1999, Bouteflika cut a more popular figure. At the time, Algeria was still ravaged by a civil war that began in 1992 after the army, unwilling to accept an expected Islamist victory in parliamentary elections, scrapped the poll. By the end of the decade, the rebels were divided and Bouteflika and the military exploited those splits to defeat them, effectively ending the conflict. As many as 200,000 people died in brutal fighting, thousands went missing, and Algerians who lived through the violence still credit Bouteflika for his role in restoring peace. With the war over, Bouteflika presided over a period of relative domestic stability that saw the economy grow at an average of 5 percent a year during his first three terms in office. Barely touched by the Arab Spring uprisings that spread through the region in 2011, Algeria’s lawmakers approved at the time constitutional changes granting more political rights to key constituencies, including the indigenous Amazigh community, women and businessmen. Critically, a long run of relatively high oil prices provided Bouteflika with the financial resources to buy off public discontent with generous state benefits. During the 2014 electoral race, he quelled smaller protests with a mixture of water canons and enhancements to subsidies and public sector salaries. The slump in oil prices during his fourth term in office, coupled with a failure to modernize and diversify the economy, made those handouts increasingly unaffordable. The country struggled to curb twin fiscal and current account deficits in recent years and its foreign currency reserves shrank to $88 billion in 2018 from almost $177 billion in 2014. His detractors accused Bouteflika of failing the country’s youth and allowing corruption to flourish. Algeria resisted tapping the global debt market despite the oil slump, its leaders, most of them heroes of the anti-colonial movement, wary of ”mortgaging” the country’s future to outside powers. Bouteflika was born on March 2, 1937, in Oujda, then French Morocco, though his parents, Ahmed Bouteflika and Mansouria Ghezlaoui, were from the Tlemcen region of Algeria. In 1956, Bouteflika interrupted his philosophy studies to join the military wing of the National Liberation Front, known by the French acronym FLN. He went on to serve in the National Liberation Army, where he was a protege of Houari Boumedienne, a commander in the war against French colonial rule. After Algeria won independence in 1962, Bouteflika became minister for youth and sport in the government of President Ahmed Ben Bella, whom he helped overthrow three years later in a coup led by Boumedienne, the defense minister at the time. Bouteflika then served as foreign minister until Boumediene’s death in 1978. He left the country for about six years following allegations of misappropriating public funds, returning in 1989 to a period of political turbulence. In 1992, the army canceled elections that the Islamic Salvation Front was set to win, triggering the civil war. Bouteflika stayed on the sidelines during the early years of fighting and then, with the support of the army, ran for president. He was the sole candidate in the 1999 ballot, with other contenders withdrawing before polling day, and was elected with 74 percent of the vote. International monitors made allegations of electoral fraud following his repeated landslide victories at the ballot box. While his rise brought initial hopes of economic development and political openness, Bouteflika quickly disappointed, restricting the activities of political parties and banning new ones. Even as the economy improved, Algeria failed to reach its target oil output of 2 million barrels a day, because bureaucracy, taxes and corruption probes within the state-owned petroleum company, Sonatrach SpA, dampened foreign interest in exploration. 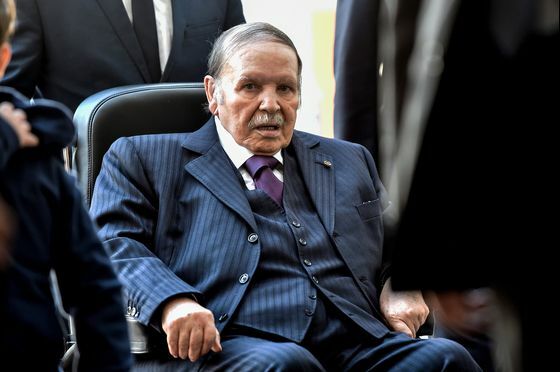 In his last term, wheelchair-bound, incapable of speaking to the public or of governing effectively, Bouteflika clung on as long as he could, leaving Algeria in a holding pattern, its frustrated youths protesting in the streets. Until his one-time allies in the army stepped in to end the impasse.